Hossegor surfing report July 6 2018 is looking like some really good fun. Its a small swell with a 9 second period , which is actually the best for around here. With a 9 second period there are plenty of peaky little barrels to sneak in and out of. This morning there isnt too much of a crew out there just yet , and a whole bunch of waves on offer. Theres a slight cross-shore breeze blowing from the south , but not enough to mess things up just yet. 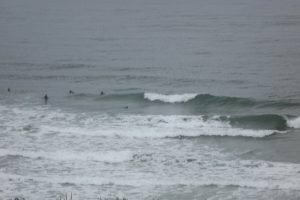 If you are thinking about having a surf and want to find the best waves for the day then defo worth checking our surf guide out here. If you are thinking about taking your surfing to the next level , then have look at all the different types of lessons we offer right here. Feel free to contact us for any more info any anything surf in the area.